World history has often been mirrored in the games we play with the rise and fall of civilizations being the focus. But covering history on a grand scale is a daunting task challenging the most adept game designers. There have been notable attempts over the years. Civilization, for example, and History of the World (Fall 2001 GA REPORT) readily come to mind. Perhaps the most ambitious design to date, however, comes with the Australian Design Group’s latest release, 7 Ages. 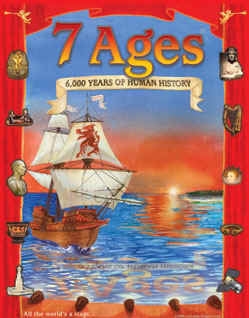 As designed by Harry Rowland with development by Rowland and Greg Pinder, 7 Ages attempts to chart the rise and fall of nations and cultures over a span of 6000 years. 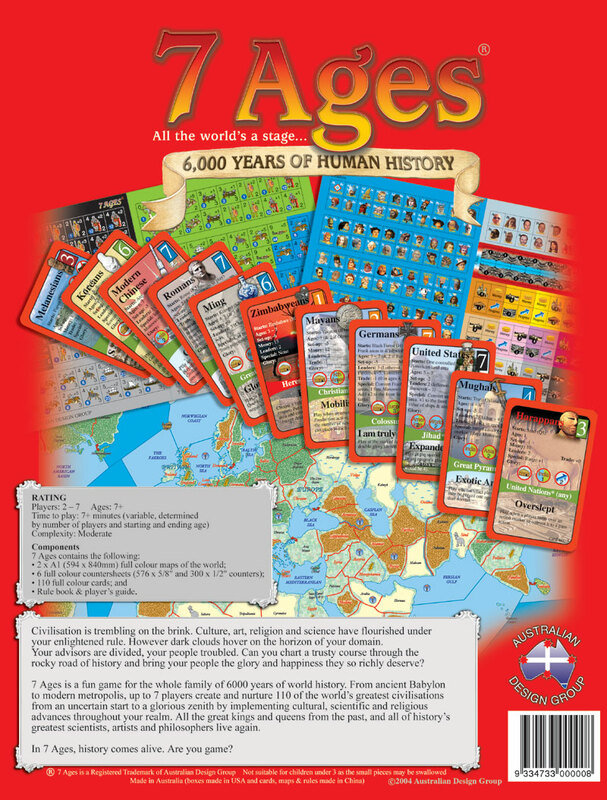 In its bookshelf box, 7 Ages contains two large unmounted maps that join together to create a map of the world, nearly a thousand cardboard counters, a deck of 110 cards and a 32 page rulebook/player’s guide. The cards in the game contain a ton of information including the name of an empire and its geographical starting point, a card value, an event, an artifact and “harvesting glory” categories, all of which will come (or not come) into play depending on how a particular card is used. Each player is dealt seven cards. All play one of these cards face down, revealing them simultaneously and the player with the highest valued card becomes the start player. Now, in turn, from the holder of the highest valued card to that of the lowest, players choose a set of color-coded counters (used to represent military forces, possible actions and markers to chart the progress and glory of all empires under that player’s control throughout the game). ALL played cards are then DISCARDED. 1. Start Empire – Play any card from your hand to activate the empire shown on the card. Then, place the empire progress marker on the progress track. The empire begins with money and units (as specified on its card) and, possibly, a capital and special actions. 4. Maneuver – Forces may move within an empire or expand into adjacent areas, be they neutral or controlled by another. 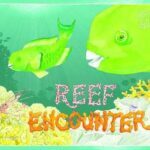 Movement abilities are found on the various counters and, depending on the type of unit (land, sea, air), some restrictions may apply. During this action, disorder markers may be removed provided that necessary units (based on terrain modifiers and the value of any city in the area) are present. Of course, movement into areas controlled by other empires may result in conflict. Conflict is resolved with combatants first drawing a card from the deck (and looking at it), then committing some (or all) of their units in the area to the battle, and then revealing all drawn cards. Each empire’s “conflict total” consists of the drawn card’s “card value” + the support of the engaged units + other modifiers (such as terrain). The empire with the lowest combined total loses ALL units. Retreat before drawing cards is always an option. If an empire loses its capital city in a battle, all of that empire’s money is lost and half of it is transferred to the winning empire! 5. Destiny – Get rid of unwanted cards and replenish up to a hand of six cards. 6. Civilize – Add improvements to your empire including building cities, upgrading units, adding or promoting leaders (some real historical figures appear in the game as well as generic types) to strengthen an empire’s abilities and/or play event cards and artifacts. Events can cause a wide range of significant changes in an empire such as unleashing a plague (bad) or eliminating disorder (good). Sometimes, they can be played during other actions as well to modify situations to your advantage. Artifacts are played in specified ages and generally advance the power of a particular empire through social, economic or political changes. 7. Discard Empire – Remove one of your empires from the map. A wild marker, used to conduct ANY action, may also be played. After actions are completed, all empires advance one step on the progress chart unless they have used a wild marker or are in a “dark age” (noted on the progress chart) which slows advancement unless “freed” through trade and progress or an event card. Finally, empires earn “glory” for their achievements. Based on the “glory categories” on an empire’s card, players earn glory points based on their empire’s ranking in particular categories. Categories include having the most cities, most naval, cavalry or infantry units, resources controlled and controlled areas. Some empires earn glory points for achieving certain conditions too. Interestingly enough, the path to glory is paved with religious, cultural and scientific advancements rather than strictly through victorious combat, a world view similar to that of Civilization. Glory points may be bought (but are an expensive purchase) and some event cards modify the amount of glory points a player may receive. Play continues until any empire passes the 49th progress level or immediately, if an empire acquires the internet (giving that player a bonus of 7 glory points). The player with the most glory points at that juncture is the winner! 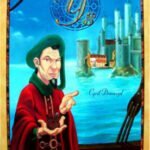 7 Ages is not what a Euro style player may expect. No wooden cubes here but a truckload of cardboard counters. 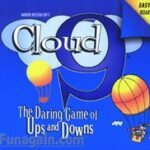 Lots of examples given in the rules and a colorful inside cover giving useful descriptions of the components but, unfortunately, few illustrations of actual game play. That old saying, “one picture is worth a thousand words”, is surely applicable here. Despite the formidable array of options and variables, the actual rules are only 11 pages long. 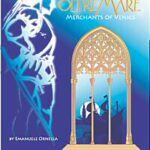 The intricacies of play dovetail nicely to capture the ebb and flow of empires through the ages which is, of course, the whole idea. Empires may only choose ONE action per turn which keeps the game moving. This also makes long range planning difficult. In essence, you choose actions for your empires by making “educated guesses” as to what will most benefit your empires when it’s their time to take action. Sometimes, situations change and your actions will fall flat. This is both a frustrating – and realistic – portrayal of best laid plans going astray. The cards in the game have multiple uses. Events and artifacts are very powerful. They are also plentiful and, because of that, it will take a few playings before you begin to feel comfortable with what is here and what you can do with them. 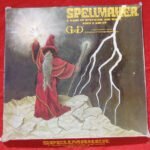 A nice touch to the rulebook is the presence of a glossary of terms of play, a breakdown of the color-coded counters (all counter mixes are approximately but NOT strictly equal in their composition) and a listing of the artifacts and their “powers”. 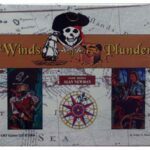 Useful player’s notes and interesting designer’s notes, both penned by Harry Rowland, along with a general world history overview by Michael Fisher, complete the package. 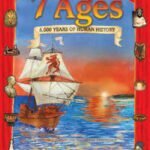 7 Ages is promoted for ages 7 (!) and up, evidently in keeping with the 7 motif of the game but that seems very optimistic. Kicking the age to 17 and up maintains the pattern and seems more reasonable. And, of course, space and time is necessary; the board takes up a lot of room and, if you plan on playing the game from the first age to its final conclusion, reserve about seven ages of your life for the purpose! 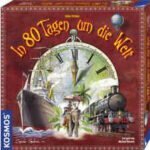 Fortunately, game time is affected by the age in which the first empire is played (you don’t necessarily start in the first age and the later the age, the shorter the game) and you can limit play by a set time or age to ensure that a game comes to a conclusion in a reasonable time. 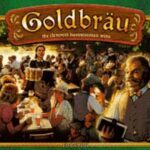 Parts of the game are reminiscent of Avalon Hill’s Britannia (Fall 1987 GA REPORT) where players controlled different tribes as they waxed and waned in power and influence, Vinci (Winter 2000 GA REPORT) where players chose different civilizations with varied strengths and abilities and We, the People (Spring 1994 GA REPORT) where card play is the engine that powers the game. 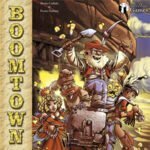 7 Ages ratchets things up more than a few notches by adding leaders, artifacts and events to create a rich historical texture.